Angie has had a love and passion for animals since she was just a kid. She was always bringing stray animals home. She always wanted to get involved with animals in a way that she could make a difference. In 2011 she started fostering dogs and cats and it did not take her long to realize she found her way to fill that passion and make a difference. Fostering quickly turned into helping with transports and at transports, helping with vetting and events. Over the years Angie has fostered numerous dogs, puppies, cats and kittens helping them find their forever homes. It was shortly after she got involved that she helped with a transport for some reservation dogs out in South Dakota. It was after that trip that her passion was focused on the forgotten dogs of the reservation. 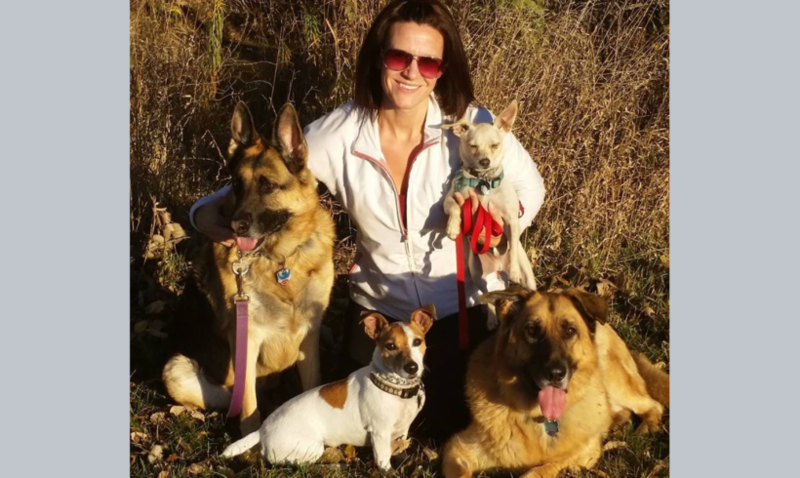 She quickly took on an internal role with intake with a large rescue and started coordinating foster homes and transportation for these dogs to get safely to rescue here in Minnesota. 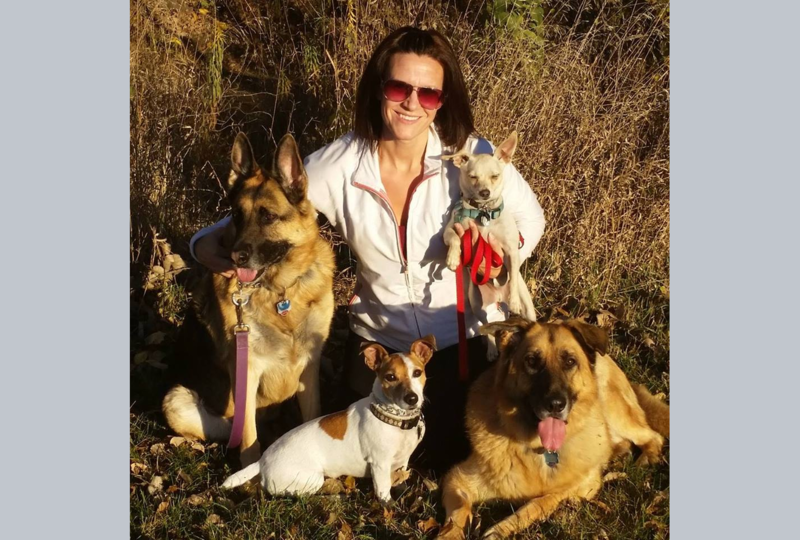 As a Board Member for The Rescue Crew, Angie continues to follow her passion by leading our “Rez Crew Team” in helping these reservations dogs from South Dakota find loving forever homes here through us. Angie currently works for a large travel company which she has been a part of for 20 plus years. She loves to travel and explore the world but no matter where she goes she always has dog treats in hand for the strays. She currently has five 4 legged kids of her own. Dakota her female German Shepherd, Hurley her male German Shepherd, Little Bear (aka Waffles) her Chihuahua and foster failure and her two cats Oliver and Odie. In her off time she loves to spend time with her pups going for walks or just hanging out in the yard, spending time with family and just about anything outdoors in the summer.